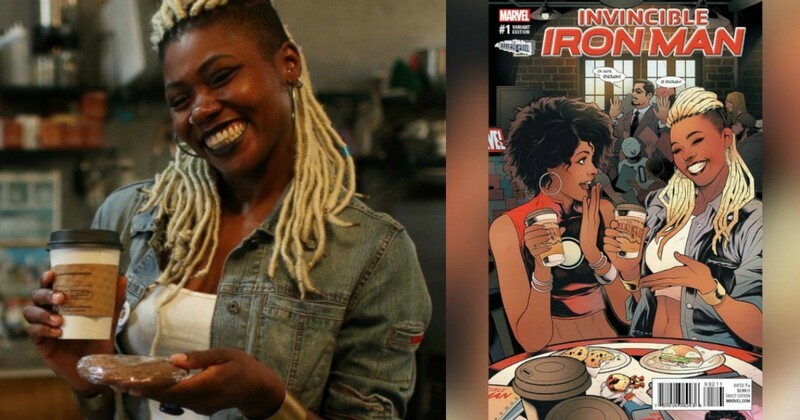 To our knowledge, Ariell Johnson is the only Black woman currently running a comic book store on the East Coast. 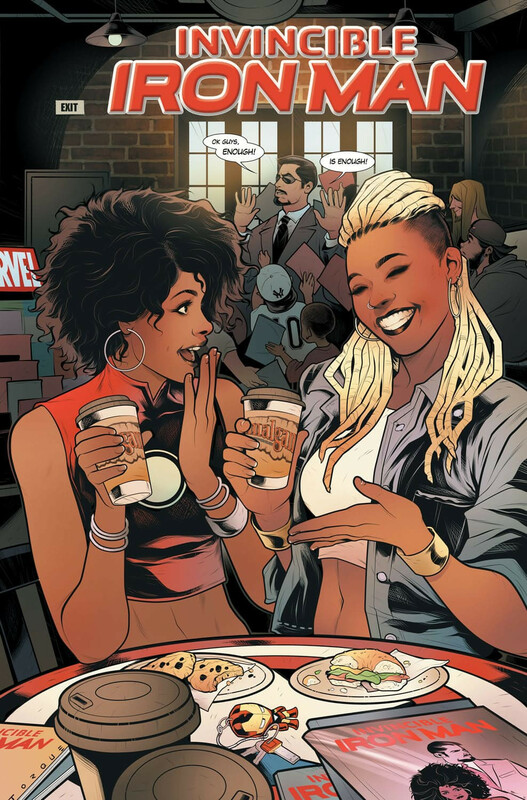 She owns Amalgam Comics & Coffeehouse in Philadelphia, and now she’s just made another stride in representation for Black Girl Geeks. 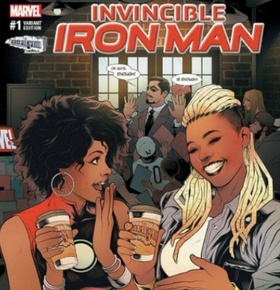 Johnson will appear on a variant cover of “Invincible Iron Man #1.” She’s posed next to Marvel superhero RiRi Williams. RiRi is a science genius who enrolled at MIT at the age of 15. The cover is made possible by Johnson’s colleague Randy Green.